Following an intimate London show a couple of weeks ago and with current single Glory in regular radio rotation, Baltimore two-piece Wye Oak have premiered new videos for The Tower and Glory. The Tower was the first track to be announced from Wye Oak’s new album, Shriek, back in January and has now been brought to life with a silent film/mime inspired clip by Baltimore artist and comedian Ben O’Brien. And now with their UK tour just over a month away, they reveal a new video for lead single, Glory. Glory, currently in heavy rotation at BBC 6music, has received high praise across press and radio – and rightly so. The track showcases the Baltimore duo’s drastically new approach to song writing with guitars swapped for bass and keyboards leading the way for Jenn Wasner’s vocals which sound richer and more heady than ever before. The new video for Glory was created by by Michael Patrick O’Leary and Ashley North Compton. In their words it: “…explores an internal and external power struggle and a fear of loss of control—through the lens of youth, anxiety, ease and tension. Shriek was released on April 28 through City Slang (Merge in the US) and marks a sonic shift from Wye Oak’s signature sound, which is usually focused around lead-singer Jenn Wasner’s guitar playing. When Wasner set out to make the album, she ditched the guitar and wrote the whole album on bass while Stack layered synths and drums to support the very personal, emotional works. The Baltimore two-piece Wye Oak (Jenn Wasner and Andy Stack) will release their fourth full-length studio album Shriek this 28 April on City Slang. On Tuesday, BBC 6Music’s Lauren Laverne unveiled the first track The Tower on her show and the band have now made the song available to listen to and share. 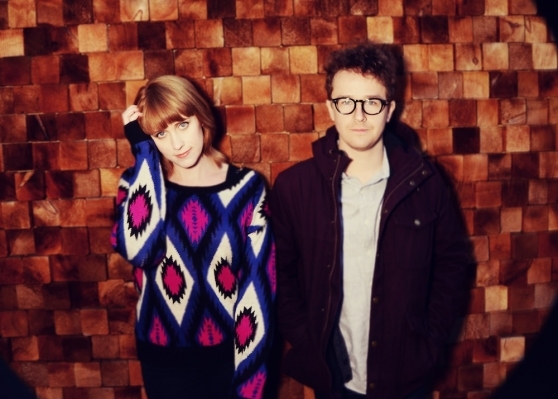 Following extensive touring in support of their critically acclaimed 2011 release Civilian which – for the UK – culminated in two performances at The National’s ATP and a Scala headline show in December 2012, Wye Oak members Jenn and Andy found themselves apart for the first time. Andy had recently moved to the west coast, leaving their hometown of Baltimore. Wye Oak will be on tour throughout the spring beginning 3 March and including stops at both Coachella and SXSW. Other highlights include a sold out show at The Lexington in London, the M4M Music Festival in Zurich and Webster Hall in New York City on 7 May. All confirmed dates are below with more to follow.. Fans can pre-order the album now via iTunes as well as through the City Slang webshop. Shriek will be available on both CD and LP, including a limited run on orange vinyl.